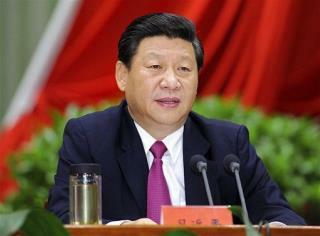 World Wonders: Where's China's Next Leader? (Newser) – The global rumor mill is swirling around the sudden conspicuous absence of Xi Jinping, who is scheduled to ascend to China's presidency in a matter of weeks. Xi hasn't been seen in public in 10 days, according to the Telegraph, and last week he took the unheard of step of canceling three meetings with top foreign officials, including Hillary Clinton. Yesterday, officials turned journalists away from a planned photo-op between Xi and Denmark's prime minister, denying it had ever been scheduled. He is getting a face lift and some fat sucked. If anyone said they actually knew what happened to him the Chinese would be interrogating those that do know looking for the leak. Countries that have spies in China, know. If we don't know then we need to get some spies into high places.